To help aid fitness buffs and athletes, electronics companies have been creating unique portable music players and accessories based on their needs. Runners need to be able to keep their MP3 player in a safe place so it doesn’t bounce around in their shorts’ pocket. Cyclists need headphones that don’t get slippery from sweat and can stay in their ear when they’re riding. With help from a familiar company, swimmers are also getting the special treatment. 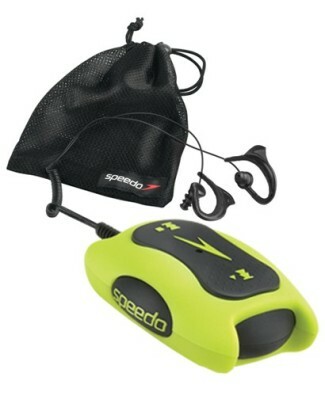 Speedo has announced it will be teaming up with iRiver and releasing the Aquabeat Waterproof MP3 Player. Designed to endure a depth of up to three meters, the Aquabeat is available in three stylish colours: black, lime and pink. It also has 1GB of storage and can hold up to 250 MP3 files or 500 WMA files. - Playtime up to 9 hours. - The ability to float for easy retrieval. - Ergonomic buttons that allow ease of use while swimming. - A simple playlist editing software. - The ability to easily recharge through the USB port on a PC or laptop. To find out more information on Speedo’s latest product, you can visit their website or Amazon . Twitter Points To Dems Deposing Eric Cantor, Not Tea Party! Stylish Medical Bracelets: Be Safe. Stay Healthy. Feel Beautiful.